Andie is an interdisciplinary artist who pours her heart and soul into her creative endeavours. She tells stories through creating, curating, and advocating art. 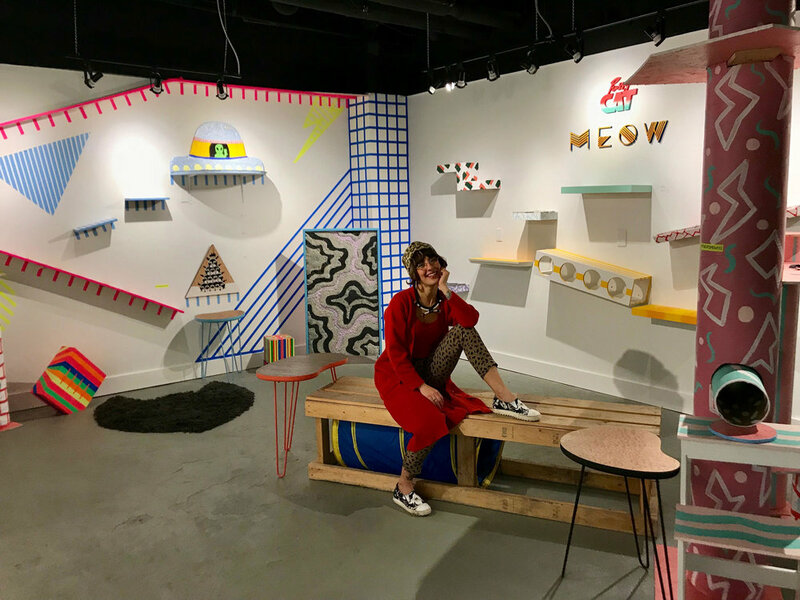 Through painting, sculpture, installation, design, performance, and ritual theatre she uses these stories to engage audiences to share experiences with her that they may not have necessarily known existed or even wanted. Andie does not put herself in a box but rather is striving and learning and making new types of work every day. The interconnection of all beings and the discovery of materials excite her. Through artistic creation she actively cultivates self-discovery, self-esteem, and self-acceptance each and every day. She believes that creativety is not a rare gift that only some special few are born with, but rather an integral part of everyone’s human experience. All of us can express our creative impulses to enrich our lives and tell our own unique stories. She strives to make art accessible for all. “I am fascinated by nature and curious about the lives of others, whether real or imagined. Through imaginative landscapes I discover entire colonies of flora and fauna. During creation I’m introduced to characters each with unique personalities and histories. I encourage people, if even for a moment, to get in touch with their child self, adolescent self, adult self, or primal self through my characters and images.